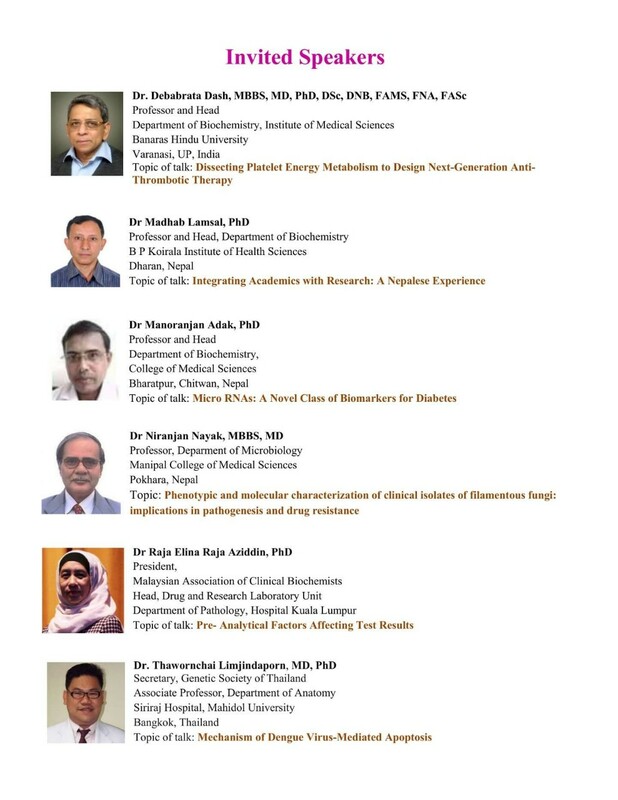 The Nepalese Association for Clinical Chemistry (NACC) is organizing its 3rd annual conference from 2nd to 3rd March 2019 at Manipal Teaching Hospital, Pokhara, Nepal. The conference will provide an opportunity to earn, gather, exchange knowledge and share experiences with fellow participants on recent practices and advancements on Clinical Chemistry. More than 300 clinical chemists all across the country and some from abroad are expected to attend the conference and present their research findings. 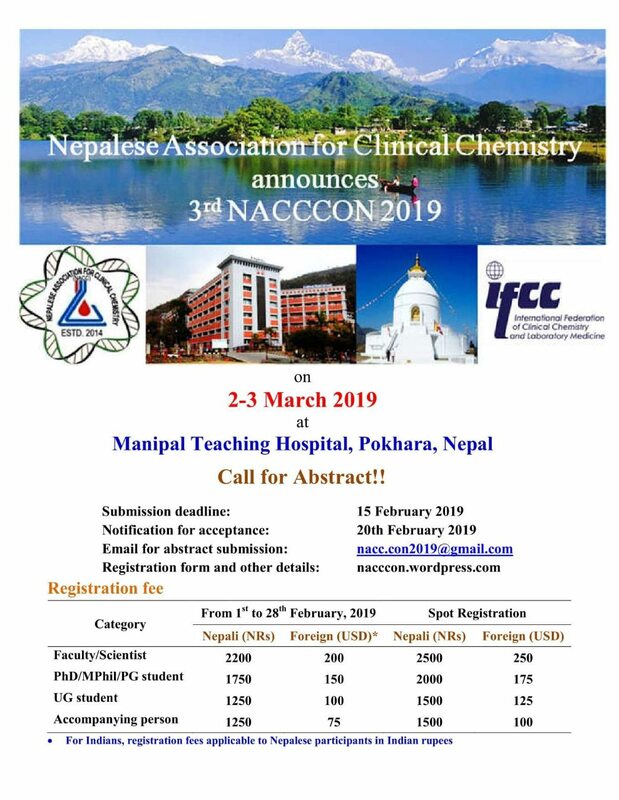 Thus, the organizing committee of 3rd NACC-CON 2019 invites every renowned scientists, clinical chemists, research scholars, faculties and students from Nepal and abroad to amalgamate at the annual conference on clinical chemistry to be held on 2nd and 3rd March 2019 at Pokhara. Prospective participants are therefore requested to submit their research abstracts for presentation in oral and poster sessions. High quality abstracts describing original and unpublished results of work in all thematic areas of conference will receive priority for oral presentation. Abstract submission alone does not constitute registration for the conference and presenters are therefore required to register separately. Please also indicate your desired mode of presentation (oral or poster) during the submission of your abstract.